This might seem like sorta a strange thing to be talking about when what you really want to do is to become a better public speaker, but what time you start to speak at is actually a critical question. All too often as public speakers, we’ll show up for an event and then we’ll basically put ourselves in the hands of the person who is running the show. We end up saying by our actions “I’ll start to speak when you tell me to start.” This is the wrong thing to do. As the speaker, you need to drive the organizer to start your speech on time. I fully realize that this can be difficult to do especially if as you look out over the audience there are still a lot of empty chairs. However, things will go badly for you if you don’t start on time. Just imagine this scenario: you delay your start time by 15 minutes to allow more people to arrive. They all notice that you are starting late. A break comes and you ask them to come back in 10 minutes. They end up trickling back in after 20 minutes. Then lunch comes. You ask them to be back in an hour. Most of them stroll back in about 20 minutes late. You get the point. The thing that you have to remember is that your audience’s time is very valuable to them. By not starting your speech on time you are showing them that you don’t respect their time. Clearly, they’ll show you that they don’t respect your time either if you do this! 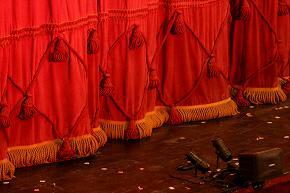 Most audiences won’t know anything about you before you take the stage. Interestingly enough, this is the same problem that professional comedians face. They’ve come up with a clever solution to their problem: it’s called the opening act. The sole purpose of a comedy opening act is to get the audience used to laughing. The opening act doesn’t even have to be all that good, their purpose is to get the audience warmed up and ready for the main course: the headlining comedian. In the world of public speaking your speaker introduction plays the role of your opening act. It is through your introduction that the audience’s expectations will be built up. Not only should your introduction explain why you are here, but it should also lay out what you’ll be talking about. As you have probably already guessed, your introduction is too important to be left to chance. Some speakers leave it up to the host of the event to come up with some clever words to say. This is like playing the lottery: sure you might win, but the odds are stacked against you. Instead what you need to do is to prepare your own introduction. Type it up and make sure that it covers why you are the right one to be at this event talking about this topic. A key point of a successful introduction is to have it lead up to your actual speech so that the transition from the introduction to your speech appears to be very smooth to the audience. As speakers we all want each speech to go well. It turns out that we are really in charge of how things turn out. We control how each speech starts. To make your next speech a success, there are two things that you must do. What we need to do is to set things up so that our speeches always start on time. Doing this communicates to your audience that you respect their time and that they should be sure to return the favor and respect yours. Your speech should start with someone else introducing you. What’s important about this is that the introduction is your opening act – it sets the stage for what you are going to be saying. Therefore, it needs to be done correctly. Never leave your introduction to chance – write it out and provide it to the person who will be introducing you. Question For You: Do you think that there is any way to get your audience to actually remember what is said in your introduction?